VISIT OUR NEW LOCATION AT CONTAINER PARK! 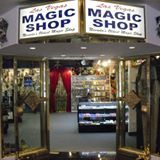 Welcome to Las Vegas Magic Shops Online store. We have two locations to serve you. Visit us in the Stratosphere or at the Grand Bazaar at Ballys. We have professional magicians on hand to demonstrate incredible magic you can do!